The Narrows Top Down in one day is one of most unique and more challenging day hikes I have done. Spanning 16 miles from Chamberlain's Ranch to the Temple of Sinawava in Zion National Park, you follow the Virgin River as it carves its way through Zion Canyon. For most of the hike, you walk in the river itself. This is far from a traditional trail. The water ranges in depth from ankle to waist deep and you may even find yourself swimming through some parts. It's called the Narrows because it winds its way through the narrowest part of Zion Canyon. You'll find yourself flanked on both sides by canyon walls over 1,000 feet tall with the Virgin River stretching 20 to 30 feet from wall to wall. It is truly an amazing hike and one I would highly recommend if you plan to visit Zion National Park. The first three miles of the Top Down hike are dry. The Fall colors at the top of the hike were amazing. 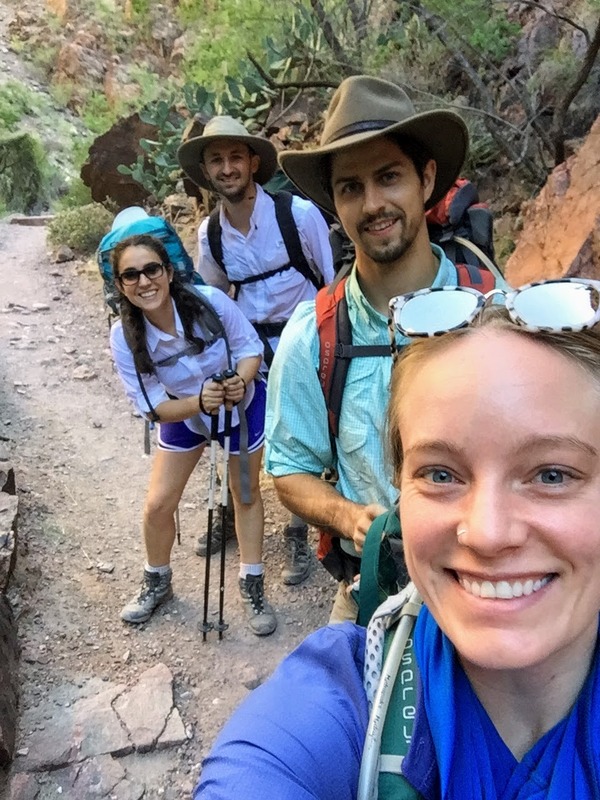 There are three ways to Hike the Narrows. 1) Bottom Up day hike, 2) Top Down day hike, and 3) Top Down overnight hike. This post outlines how to plan both versions of the Top Down hike.There are many factors to consider including permits, cost, how fast a hiker you are, and how much time you want to spend on the hike. If you're not sure which version of this hike is best for you, check out this earlier post to help you decide. Most of the hike is shaded because the canyon walls are so high. Big Springs is a common turn around point for people hiking the Narrows bottom up. Obtaining a permit will be the number one factor that decides which version of the Narrows hike you can do. Both versions of the Top Down hike require a permit. Over half of all permits are issued in advance through an online reservation system and are made available in a three-month time frame. The system opens on the fifth of every month at 10am MT. This means that if you are aiming for an October hike, you’ll need to try for a permit on August 5th at 10am MT. Click here to access the Zion permit reservation site. These permits are extremely competitive and sell out in a matter of minutes during desirable months. There are only 12 campsites along the trail with only half being reserve-able in advance, so overnight permits are especially competitive. For day hikes, there is also last-minute drawing 7-2 days in advance of your trip date. Any leftover day hike permits and half of all overnight permits are available one day prior to the desired hike date at the Zion Visitor Center. You'll need to pick up your permit in person at the Zion Visitor Center the day before your hike. Keep this in mind when planning your travel to and from the park. We were not able to obtain an overnight permit despite trying right at 10am MT. All of the overnight permits for the month were sold out within three minutes. I recommend having at least two people trying for overnight permits to increase your chances. Also, note that just because you reach the screen where it asks for your information does not mean you have the permit in the bag. I had filled out all of my information including credit card info and when I clicked submit was told there were no permits available. Don’t forget that most of this hike is through the water, and naturally the water gets colder as temperatures drop. 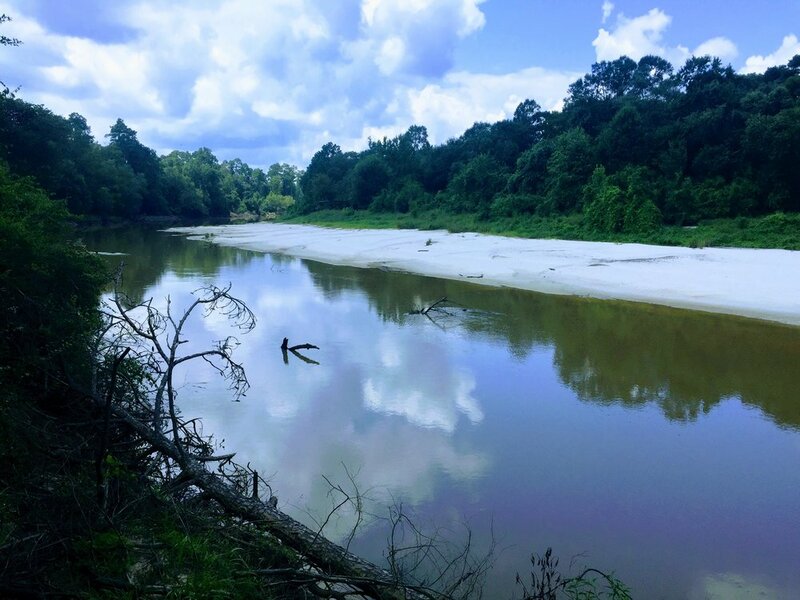 The busiest time of year is late Spring and Summer because water levels are lowest and the temperatures are warmer; however, flash floods are more common during this time. During winter and early spring, you should expect colder water and higher water levels. Fall offers less erratic weather but water temperatures remain cold. No matter when you go, day and night temperatures can fluctuate greatly so be sure to bring layers! We did the Top Down day hike at the beginning of October and it was lovely. We started out on a pretty cold morning but it warmed up throughout the day and we were able to peel our layers off. The amazing fall colors made the cold morning totally worth it. This hike does not begin and end at the same place, so you'll need to arrange transportation to and from the trailhead ahead of time. The hike begins at the Chamberlain’s Ranch trailhead, which is a 1.5-hour drive from the Zion visitor center. The road is paved for about half of the way but the second half is along very rough dirt roads. I would not take a non-4-wheel drive vehicle on this road and highly recommend hiring one of the shuttle services offered in the area so you don’t have to worry about retrieving your car after the hike. We rented a shuttle from Zion Adventure Company for $37 a person. There were two morning shuttle times offered and we chose the earliest one at 6:15am. The shuttle picks up in front of the Adventure Company which is located just outside the park in the town of Springdale. The trail ends at the Temple of Sinawava in Zion National Park. This part of the part is not accessible to private vehicles and your only option is to take the park shuttle. The shuttle has several drop offs throughout the park and will eventually take you back to the park visitor center. From there you can catch another short, free shuttle to the town of Springdale and back to your car. Keep in mind that the time of the last shuttle from the Temple of Sinawava changes throughout the year. At the time we went in October, the last shuttle was at 7:15 pm. We were dropped off at the trailhead at 7:45 am. That gave us 11.5 hours to complete the hike; the Park Service says 12 hours is the average. We finished in 9.5 hours but took very few breaks. If you're a slow hiker or don't want to feel rushed, the day hike may not be a good option for you. You can find the most up to date park shuttle schedule on the most recent map & guide found on the park's website. The shoulder high walking sticks we rented from Zion Adventure Company were really helpful. For our Top Down day hike we rented canyoneering shoes, neoprene socks, walking sticks, and dry pants from Zion Adventure Company. The canyoneering shoes were not very comfortable but I couldn't imagine doing this hike in one day without them. They were very sturdy and kept me from slipping on the wet rocks. A lot of people will do this hike in old tennis shoes and while that probably would have been fine, I appreciated the grippy surface and ankle support of the canyoneering shoes. I would not recommend hiking boots as they would quickly get water logged and very heavy on your feet. I had brought my trekking poles with the full intent of using them rather than renting a walking stick; however, the rental package we chose came with one so I decided to use it. While I could have gotten away with trekking poles I am really glad I brought the walking stick. It was a lot sturdier than trekking poles and the height of the stick made crossing fast moving water much easier. This will depend on what time of year you're doing the hike and how tolerant you are to cold. The water temperature ranges from 65 degrees in warmer months to 38 degrees in the winter. Personally, I would have been miserable if we didn't rent the dry pants. If there are areas that require swimming (the rangers or employees at the rental companies will be able to tell you), you might want to rent the dry suit. Your bag will likely never ben completely submerged in water, but on the off chance that you fall or there are areas you need to swim through, it's a good idea to bring a waterproof pack or dry bags that will fit inside your current pack. It's worth it to keep any extra layers, electronics, and food you bring with you dry. We bought a cheap 20 Liter dry bag backpack off Amazon and it worked perfectly. Towards the end of the hike where we started seeing more and more people doing the bottom up day hike. The Narrows is one of the most popular hikes in Zion National Park and for good reason. Aptly named, the Narrows is the narrowest part of Zion Canyon. The canyon walls reach over 1,000 feet tall and only 20 to 30 feet wide in some places. The Virgin River runs through the canyon so the hike is mostly through flowing water that generally ranges from ankle to waist deep (and sometimes deeper). There are three different ways to hike the Narrows and each offers a different experience. In this post, I’ll walk you through the three choices and help you decide which option is best for you. The Narrows Top Down hike starts at Chamberlain’s Ranch (private property outside the park) and ends 16 miles later at the Temple of Sinawava in Zion National Park. You’ll find yourself on dry land for the first 3-ish miles but the rest of the hike is almost all through the water. The Chamberlain’s Ranch trailhead is a 1.5-hour drive from the Zion visitor center. The road is paved for about half of the way but the second half is along very rough dirt roads. I would not take a non-4-wheel drive vehicle on this road and highly recommend hiring one of the shuttle services offered in the area so you don’t have to worry about retrieving your car after the hike. This is the same hike as what I’ve listed above, except you split it into two days and camp at one of the 12 campsites along the hike. Permits are required for this hike and are extremely competitive. This out and back version of the hike begins in Zion National Park at the Temple of Sinawava and is as long as you want it to be. You simply go out as long as you feel like and then turn around when you’re ready. This is a great choice for day hikers who can’t get a permit, are limited on time or money, or just don’t want to hike 16 miles. So now that you know a little about each option, how do you decide which version of the hike is best for you? There are several factors to consider. A permit will be the number one limiting factor when considering which version of the hike you’re going to do. Both the overnight and the day hike from Top to Bottom require permits. These permits are extremely competitive and sell out in a matter of minutes during desirable months. There are only 12 campsites along the trail with only half being reserve-able in advance, so overnight permits are especially competitive. You can learn more about the permit process by visiting my Planning and Logistics post. Click here to access the Zion permit reservation site. The cheapest way to do this hike will be the Bottom Up day hike. Depending on time of year and the length you wish to walk, you probably don’t need to rent any gear for this version of the hike. If you’re hiking Top Down, you may wish to rent canyoneering shoes, a walking stick, and a pair of dry pants or dry suit. The rental companies will charge you about $25 a day for the shoes, socks and walking stick. They charge you only half that price for a second day. If you want to add on dry pants or a dry suit, expect to pay around $40 to $50 for the first day and half that for the second day. We rented the package with the dry-pants from Zion Adventure Company for our Top Down hike and it was well worth the cost. For the Top Down hike, you’ll also likely want to pay for a shuttle to the Chamberlain’s Ranch trailhead which will run you about $40 a person. Don’t forget the cost of permits. They cost $15 for 1-2 people, $20 for 3-7 people, and $25 for 8-12 people. There is also a $5 fee if you apply for the permit online. It warmed up throughout the day and we had to shed a couple layers. How much time do you have and how much are you willing to spend on this hike? Hiking 16 miles in one day takes a while. It took us about 9.5 hours and the park estimates 12 hours on average. On the other hand, you’ll still be hiking the better part of two days if you decide to do the overnight (though with the plus side of spending a lot more time in the canyon). You have a lot more flexibility if you’re doing the Bottom Up hike since you can turn around whenever you feel like it and spend as much time as you desire hiking. You should also consider shuttle times when planning this hike, especially when choosing the Top Down day hike. The Temple of Sinawava is only accessible by shuttle system, which means you must be done with your hike by the time the last shuttle leaves. The last shuttle time changes depending on what time of year it is. The National Park System averages 12 hours for the Top Down day hike. We did it in about 9.5 hours but took very few breaks. If you don’t feel like you can (or want) to do 16 miles from the time your shuttle drops you off at Chamberlain’s Ranch to the time of the last shuttle from the Temple of Sinawava, the Top Down day hike might not be a good option for you. Since it’s generally more accessible, the Bottom Up version of the hike is a lot more crowded. Aside from the few people who rode the shuttle to Chamberlain’s Ranch with us, we didn’t see a single person until we were about three miles from the end of the hike. As we neared the end, it very quickly got crowded and in my opinion less enjoyable. Solitude was a huge reason we chose to do the Top Down hike. Doing the Top Down version is a challenging hike. Hiking 16 miles in one day through water and uneven terrain is not the easiest thing I’ve ever done. There are some technical parts of the hike as well like scrambling over boulders or crossing knee deep rapids. If you aren’t an experienced hiker I wouldn’t recommend doing the Top Down in 1 day, especially since you’re racing the park’s shuttle schedule. The overnight hike lets you take more breaks and splits the mileage into two days, but remember you’ll likely be carrying a heavier pack. The Bottom Up will be the easiest option since you can choose how far and how fast you go. Ok, so I’ve decided which version of the hike to do. What now? The hike to Grinnell Glacier in Glacier National Park is one of the more enjoyable day hikes we have done. The trail offered a good workout and beautiful views that beg you to stop and stare. The hike starts at the Grinnell Glacier Trailhead in the Many Glacier section of the park and climbs 1,840 feet over 7.6 miles (11.4 roundtrip). It winds through alpine meadows and along a cliff face, offering views of Josephine Lake, Lower Grinnell Glacial Lake, and several waterfalls. Once at the top, you can enjoy a panoramic view of Grinnell Glacier and Upper Grinnell Lake. The color difference between the upper and lower parts of Grinnell Lake is striking. You can content yourself with this view or you can climb down to the edge of the lake and over to the glacier. Walking on the glacier is not recommended but you can walk right up to the edge of it. We spent almost two hours at the top exploring and taking a lunch break. We even saw a few Bighorn sheep while we were walking around. Don't forget your bear spray! This trail is marked as strenuous although we saw hikers of many different fitness levels (including children) on the trail. I wasn't carrying a pack and my heart rate was definitely elevated but we didn't need to take any breaks on the way to the top. I highly recommend spending a decent amount of time at the top. Why would you climb all that way if you aren't going to stay a while to enjoy the view? Most of the hike was warm (we did our hike in August) but it was quite chilly at the top because of the elevation gain and wind coming off the ice. Bring a jacket if you plan on spending time at the top. If 11.4 miles sounds like too much, you can cut about 3.4 miles off if you take the shuttle boat starting at Many Glacier Hotel. There is a fee to ride the shuttle boat. Get to the trailhead early. This is a really popular day hike and is more accessible to the crowds that we expected it to be. We arrived at the trailhead around 10 am and were lucky enough to get one of the last spots in the trailhead parking lot. Parts of the trail were also pretty crowded and if we had started earlier we might have had a bit more solitude. A view of Lake Josephine a mile or so into the hike. A view of lower Grinnell Lake looking back down the trail. Lake Josephine in the background. Closer to the top. You can see the glacier in the background. My husband and I backpacked for four days and three nights to Brown Pass in the North Fork of Glacier National Park in late August. This is what I carried in my pack. You can read my full write-up of the trip here. Backpacking with a partner is great because you can share gear and spilt up some of the weight. Taylor carried the tent and some of the food while I carried our Jetboil, water purifier, and about 3/4 of the food. If you're backpacking on your own, you might need to make adjustments to this list. Photo of my gear for our backpacking trip in Glacier.. A few items were removed/added after this photo. We've gone on a few backpacking trips and we're still dialing in our gear. We learn something new on every trip and this was no exception. I agonize on every trip I go on whether or not to bring my full compliment of rain gear. This includes my rain jacket, waterproof pants, and pack cover. I decided not to bring my waterproof pants this time because the forecast didn't call for rain. Well, the forecast was wrong. We got pretty drenched on the second day of our trip. I think I've finally learned that unless I am going somewhere where it almost never rains (like the Grand Canyon), I'm bringing all of my rain gear. It's worth the little bit of extra weight to stay dry and comfortable. I realized on this trip that I do not use the outside of my pack enough and always try to squeeze everything inside of it. For example, I left my very lightweight but comfortable camp chair at home because it wouldn't fit in my pack. Weighing in at only a pound, I could have easily have strapped this to the outside of my pack and had a comfortable place to sit during our hours at camp. This is probably the hardest thing for me. I definitely pack my fears when it comes to packing food and water. On this trip, I could easily have brought a water bottle with attached purifier and filled it up along the hike instead of carrying 3 liters on my back each day. We're also still figuring out the formula for the right amount of food. We had quite a bit of food leftover and didn't even touch the tuna packets we brought. Glacier National Park is gigantic. With over 700 miles of trails, you could plan several different backpacking trips and cover only a fraction of what the park has to offer. We spent an entire week in the park and I'm already planning our next visit. The park is divided in two by the Continental Divide. The West side of the park is generally lower in elevation and more heavily forested. It's also less visited than the East side of the park which is higher in elevation. We chose to hike in the North Fork section of the park because it's the least visited and most remote part of the park. We also saw Brown Pass listed on National Geographic's top 10 backpacking trips in US parks and just couldn't resist. You can read about the other parts of the park and what they have to offer on the Park's website. Click here for a detailed map of each trail and backcountry campsite in the park. Transportation: How will you get to and from your trailhead? Most of the park has free shuttles; however, the North Fork is only reached by private vehicle and has mostly unpaved roads. Many people hitch hike back to their car once they finish their hike. We chose a route that began and ended at the same place. Mileage limit for advanced reservations: The park places a 16 mile a day limit on advanced reservations. This may impact the number of days it takes to do a specific route. Availability: The route you actually take will largely be based on permit availability. Most of the campsites have very few spots and half of those are reserved for walk-in reservations. The most we saw in one campsite was six, the least was three. See below for more information about attaining a backcountry permit. Timing: July and August are the best times to plan a backpacking trip in Glacier. Many backcountry sites don't even open until August because of the tremendous amounts of snow the area gets in the winter. Hiking is still possible in September and October but you'll need to be prepared for potential snow storms and very cold weather. We picked up our permits at the Apgar Backcountry office next to Lake McDonald. Permits are required for any backcountry camping in Glacier. You have two options when obtaining a permit: 1) Advanced Reservations or 2) Walk-In Applications. Advanced Reservations open on March 15th at 8am MDT (March 1st if your group is larger than 8 people) and are processed in the order received. If you have your heart set on a specific route or if you are traveling to Glacier from far away like we did, I suggest trying for the advanced reservation. With a $40 application fee, it's more expensive than a walk-in reservation, but you don't have to worry about trying to attain a permit once you get there. The worst part is the wait; it can take up to 4 weeks to hear back (it took us 31 days to get our application approved). There is also a limit of 16 miles a day for advanced reservations, and this may impact the campsites you can stay at. Keep in mind that you have to pick up your permit in person at one of the Backcountry offices in the park 24 hours in advance of the start of your trip. Learn how to submit your application here. About half the sites in each campground are reserved for walk-in applicants. These permits can be obtained by visiting any of the backcountry offices in the park up to 24 hours in advance. Unlike the advanced reservations, there is no $40 application fee and you only pay $7 per person per night. If you are flexible on the route you take, are hoping to plan a last minute backpacking trip, or want to hike more than 16 miles in one day, a walk-in application might be the right option for you. We chose to do an out and back trip so we didn't have to worry about hitch hiking when we were done. In hindsight, I wish we had taken the chance and done a thru-hike instead. While we enjoyed the hike immensely, it would have been nice to see more of the North Fork rather than seeing the same section twice. Our day started out by driving down miles of dirt roads through Polebridge and into the North Fork area of the park. We stopped at the Polebridge Mercantile, a bakery/general store which is over 100 years old, and grabbed a coffee and some baked goods before starting the hike. After passing the ranger station, the trailhead is another six miles down an unpaved road that is barely big enough for two-way traffic. Starting at the southern most tip of Bowman Lake, the first day of our hike was 7.1 miles of mostly flat trail along the side of the lake. Armed with our bear spray, we clapped our hands and yelled "HEY BEAR" probably more than was necessary. We never did see a bear. Beginning of our hike. The trailhead begins off camera to the left and follows along the lefthand shoreline. Day 1, Mile 1. Bowman Lake Trailhead to Bowman Lake Head Campground. You quickly lose site of the water due to the denseness of the trees and other foliage. About halfway through the day's hike, you begin to get closer to the lake and follow it's edge until you hit Bowman Lake Head Campground. The campground is right along the lake and is a popular place for kayakers to stay. We were the only party staying the night that hiked to the campsite. Everyone else had kayaked or canoed from the start of the lake. The campground includes a pit toilet, cooking/food area, horse hitching area, and six campsites. We awoke on the second around 7:30 am to the beginning of a rain shower. After frantically packing up and magically keeping our tent (mostly) dry in the process, we grabbed a quick breakfast and headed out. The first half of the day was much like the day before, flat and very forested. At about mile 4 we had a brief break in the trees and the rain finally stopped. We then started the climb up towards Brown Pass, gaining a total of 2,610 feet of elevation. Our entire mileage this day was 8.6 miles and it took us about 6.5 hours. Most of the climb is over once you hit Brown Pass Campground and then it's only another 2 or so miles until you get to Hole in the Wall. Brown Pass was by far the most beautiful part of the hike and we definitely dawdled to take in the views and eat all the huckleberries along the trail. Hole in the Wall Campground is possibly the most beautiful place I have ever stayed the night. It was well worth the climb and I wish we had been able to stay for more than one night. The campground includes a pit toilet, cooking/food area, and five campsites. On day 3 we re-traced our steps and enjoyed the sunshine we didn't have the day before. It took us about two hours to go two miles from Hole in the Wall to Brown Pass Campground because we kept stopping to take in the view, snap photos, and eat huckleberries. We begrudgingly made our way out of the pass and back into the heavily forested area on our way to Bowman Lake Head Campground. We purposefully got a late start so we could enjoy the campground as much as possible before heading out. The water of the lake was so calm and the water of the lake was even more clear than before. The hike out was quick and easy but we enjoyed the beautiful weather and views of the lake. We stopped at the Polebridge Mercantile again for some iced coffee before heading over to the East side of the park for the rest of our stay and some amazing day hikes. [COMING SOON] Click here for my full gear-list for this trip as well as a list of items I wish we had brought or left at home. Rent your bear spray! Bear spray is pretty much a must if you're hiking in the backcountry of Glacier, but it's not cheap. One bottle will run you $45-50 and you can't carry on or check it in your luggage. Glacier Outfitters in Apgar Village will rent you a can of bear spray and help you save a few bucks. They charge $9.25 for a day, $18.50 for 48 hours, $28 for 3-7 days, and $32 for 8-14 days. We saved about $30 bucks this way. You must filter your own water while camping in the backcountry, but there is plenty of it. We could have carried much less water than we did since we were almost always near a source from which we could filter (always check with the rangers to double check there are water sources on your hikes). The early-bird gets the worm, or whatever. We had a few days after our backpacking trip to do some day hikes and found that the trails on the East side of the park got pretty busy in the late morning. Next time we'll be more on our game and get up early so we can experience a bit more solitude. We hiked the Grand Canyon Rim to Rim at the beginning of June 2017. This is what I carried on my back! Read my full write- up of the trip here. Full disclosure, having a hiking buddy to share the load helps a lot. I carried most of our food because my husband Taylor carried the tent. If you're doing the trip by yourself, you might need to adjust what you bring with you. We didn't officially weigh our packs, though I would guess once we added water we were between 35 and 40 pounds. It rains very little in the Grand Canyon but I am always a bit paranoid when it comes to having rain gear. I brought it, but it was very unnecessary on this trip and we could have easily left it behind. It was hot enough and there were few enough bugs that we could easily have slept without a tent and saved ourselves some weight and room. You must pack out everything you pack in, so these bags are a life saver for any trash that might smell. We had a lot of seafood with us (tuna, oysters, sardines) and you wouldn't believe the smell after walking through the canyon heat with the trash. Thankfully, we didn't smell a thing until we opened the Opsak bag to empty it. Our friends didn't bring camp shoes in an effort to lighten their load. They regretted it and we secretly rejoiced that we brought ours. We had a lot of down time and got in and out of the water a lot, and it was really nice to have sandals we could get wet. The rest of the group made fun of me for how excited I was about this piece of fabric. It can be worn several different ways but I mostly wore it around my neck. It really helped keep me cool and stayed cold for long stretches of time. I wore my long-sleeved shirt and pants during the day and brought running shorts and a t-shirt to hang out in at camp and sleep in. I also brought an extra pair of running shorts and shirt so I could have a set of clean clothes when we finished the hike. It was nice to be able to shower and change into clean clothes when we got to the South Rim. There are several possible itineraries for this hike and there are many variables that might dictate which you choose. I've included our itinerary below, as well as some other information which might help you choose which is best for you. You can start your hike from the North or South Rim. While the South Rim of the park is open 24/7/365, the services at the North Rim close during the winter. There is one entry to the trail on the North side via the North Kaibab Trailhead. Closer to the South Rim, the trail splits in two and connects with the Rim via the Bright Angel Trail or the South Kaibab Trail. The South Kaibab trail is slightly steeper than the Bright Angel trail. It's also less trafficked and has fewer water sources. There are 3 campgrounds along this hike as well as Phantom Ranch Lodge. You must have a permit to stay at any of the campsites. Reservations for Phantom Ranch Lodge can be hard to come by and tend to fill up a year in advance. Each campsite features a picnic table, food storage boxes, and a pole to hang empty packs. Located 6.8 miles from North Kaibab Trailhead. 1.5 miles from Ribbon Falls - an absolute must do on this hike and a great place to spend a few hours after you're done hiking for the day. Composting toilets and drinking water available. Campsites 10 and 4 offered the best shade which was very important for a Summer hike. 10 is close to the drinking water and toilets. None of the other campsites had tree cover. There is a great place to swim near the ranger station. Campsite #10 at Cottonwood Campground provided a decent amount of shade throughout the day. Located 14 miles from North Kaibab Trailhead, 9.5 miles from Bright Angel Trailhead, 7 miles from South Kaibab Trailhead. Flushing toilets and drinking water available. More shady campsites than Cottonwood. Site 20 offered shade for most of the day and was close to drinking water and bathrooms. Bright Angel Creek runs directly next to the campground and is a great place to relax and cool off. Boat Beach is also a short walk past the campground and offers an up close view of the mighty Colorado River. Only a short walk to the Phantom Ranch Cantina which is open to all hikers, not just guests of Phantom Ranch. Campsite #20 at Bright Angel Campground. Bright Angel Creek is off to the right. Bright Angel Creek runs to the right of the campground. Located right next to Bright Angel Campground at the bottom of the canyon, the lodge offers heated/cooled dorms and cabins. The Cantina is a little slice of heaven during the Summer months. You can buy a cold beer or tea/lemonade and other snacks. They also sell postcards and stamps which are brought out of the canyon by mule (remember to write down any addresses you may need ahead of time). The Cantina also offers meals which you can reserve online. We really enjoyed the stew (unlimited servings accompanied by cornbread and salad) on the night we stayed at Bright Angel Campground. View of the Colorado River from Boat Beach, a short walk from Bright Angel Campground. Bridge to South Kaibab trail in the distance. We did not stay at this campground so I can't offer much information about it other than it appears the campsites were in a lush and shady area. It seemed to be much more trafficked since it's the closest campground to the top of the South Rim. Our itinerary allowed us to make the most of our time in the canyon. The pace was easy and we had a good chunk of time to relax each day and enjoy being in such an amazing place. It was nice to end on the South Rim which has more lodging and food options if you want to stick around after your hike. That burger and beer at Bright Angel Cafe after the hike really hit the spot. My only complaint was that the hustle and bustle of the South Rim was a bit jarring to come back to after two nights of tranquility in the bottom of the canyon. The North Rim may have been less so. Day 1: Ribbon Falls. Our photos really don't do it justice. Which itinerary should you choose? How much time do you want to spend in the canyon? Overall, the hike is fairly short and you have to make the tradeoff between logging high mileage each day and spending time. We could easily have done this hike in two days but I am really glad we didn't. While it can feel great to accomplish something like the Rim to Rim in as short a time as possible, I would argue that you'll regret not slowing down and enjoying yourself. One way to add more time in the canyon and mileage to your hike is to do a Rim to Rim to Rim hike. This also removes the need to get transportation back to your car at the end of the hike. To an experienced hiker or backpacker, this hike is not difficult. I would recommend our itinerary even to a novice hiker. Coming out of the canyon is by far the hardest part. However, if you really want to take it easy you might consider grabbing a night at each campsite along the way. Keep in mind you can only stay at each campsite for a maximum of two nights (consecutive or non-consecutive) for each hike. Ultimately, the itinerary you get will depend on availability. Permit request success rates vary drastically during different times of the year (see When to Apply below). The canyon is home to some pretty intense weather and you'll want to be aware and prepared for the temperatures you might see during your hike. The average temperatures might also dictate how long you want your hike to take or which Rim you start/end on. Remember, the North Rim has limited services during the winter and snow often closes the main road to get into the North side of the park. I've found that figuring out and then landing permits for backcountry hikes is the most tedious part of the entire planning process. It seems each park has a different system and lengths between requesting a permit and hearing back. All in all, the permitting process for a Rim to Rim hike isn't too complicated and we heard back very quickly. If you are aiming to do a Rim to Rim hike over multiple days, you'll need a permit. The park requires permits for any camping outside of the established campgrounds on the North and South Rim. There is a period of about ten days at the end of each month within which you can apply for permits for hikes starting roughly five months later. For example, if you want to hike in June, you can apply for earliest consideration between January 20th and February 1st. Equal consideration is given to all requests submitted in this time period. According to the park website, requests are combined together into one pile, duplicates are removed, and then processing begins using a computer-generated random order. If you want a good chance of securing a permit, you should apply during this earliest consideration period. Success rates for backcountry requests submitted on the earliest allowed date are published in the Backcountry Use Statistics Report. Success rates for the hotter summer months are close to 100%, while the more temperate Fall months drop below 60%. Taken from the GCNP website. Always double check the park website for the most up to date information about permits as the system is subject to change. You can find all relevant information for how to apply on the permit request form itself. You'll have to fax or mail it in since they don't accept email or phone requests. You can also drop it off in person at either of the Backcountry Permit Offices in the park. Day 3: Looking down over the trail we've just hiked. Once you have your permit you can start planning transportation to and from the trailheads as well as lodging for before and after your hike. We parked our car on the North Rim and ended our hike on the South Rim. The only option we found for transportation back to the North Rim was the Trans Canyon Shuttle. It was a fantastic service. There are pick-up times twice a day from each rim. We took the 8am shuttle the day after our hike. It takes about four hours to travel between the rims and the shuttle made two rest stops along the way. They offer unlimited seat availability (not sure how they do this!) and can accommodate you on any date as long as you book in advance. Lodging in the actual park can be hard to come by unless you're booking far in advance. When we first received our permits in February for our June hike, all lodges in the park were completely full up for our dates. Most of the lodges in and around the park have generous cancellation policies. I suggest booking as far in advance as you can, even if you don't have your permit yet. You can always cancel if you don't get a permit or if you get different dates than your original request. We stayed at the Kaibab Lodge the night before our hike. It was fine for one night's stay and was only a 30 minute drive to the trailhead. Another option was Jacob Lake Inn, which was slightly farther away (they also make some pretty damn good cookies). I called again the week before and thankfully there had been some cancellations at Maswick Lodge on the South Rim for the dates we needed. Don't expect much from these lodges; they're basically motels and are far from fancy. After camping for a few days, you won't even notice. 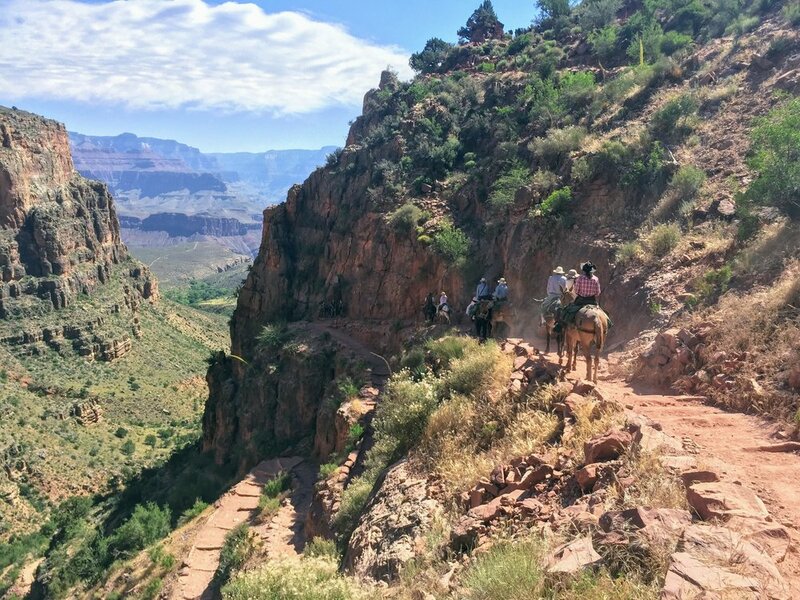 Day 3: Mules headed down the Bright Angel trail into the canyon. This was my first trip to the Grand Canyon and I was absolutely blown away. The view from the top of the Canyon is awesome in the most basic sense of the word. The tranquility and timelessness you experience at the bottom is something I've never felt before. We were there for only 3 days, but that was enough time for me to absolutely fall in love with the place. Since returning from our trip, I've tried to learn as much as I can about the Canyon and I've found some resources that I wish I had read before our hike. As the title suggests, this book tells the story of the fastest boat ride ever down the Colorado River through the Grand Canyon. Not only is it a thrilling read, but it teaches you a ton about the history and exploration of the Grand Canyon. National Geographic: Are We Losing the Grand Canyon? Written by the same author as The Emerald Mile, this article details two men's 650 mile hike through the Grand Canyon and goes in-depth about the conservation battles currently being fought to protect the area. The Dirtbag Diaries Podcast episode titled Mileposts — Greater than the Sum of its Parts also discusses this same trip and the challenges the two men endured to complete the hike. To learn more about the current threats to the Grand Canyon and what you can do to help, visit: savetheconfluence.com. View my full packing list here. If you're going in the Summer months, you can go without a tent or sleeping bag to save weight in your pack. You can still be comfortable with just a sleeping pad and light blanket (I brought my Rumpl and didn't even need to use it). The hike is short enough that you can also easily go without a stove, especially if you reserve a meal at Phantom Ranch. Give yourself time to hang out at Ribbon Falls. Sure, you can drop by on your way to or from Cottonwood Campground, but it was amazing to spend a couple of hours there during the hottest part of the day. There is food storage at the campsites so you don't have to worry about bringing your own food storage options. Best campsites: Sites 10 and 4 at Cottonwood, site 20 at Bright Angel. Last minute cancellations are your friend. If you're not able to get lodge reservations or food reservations at Phantom Ranch, call a few days before your trip to see if anyone has canceled. This was how we were able to get accommodations at Maswick Lodge and our stew dinners at Phantom Ranch. The stew dinner at Phantom Ranch was definitely worth it. We heard from other campers that the steak dinner was just so so. Phantom Ranch Cantina is a little slice of heaven. The ice cold lemonade and beer were extremely enjoyable after being in the heat all day. It gets hot in the Summer - like seriously hot. It is generally 20 degrees hotter at the bottom of the canyon than it is at the top. Do some research about desert hiking and come prepared with proper clothing and lots of salty snacks and water. We left camp no later than 6am each day to avoid hiking during the hottest part of the day.